Just because you are a student, doesn't mean you have to eat like the guy down the hall who keeps setting off the fire alarms when he attempts to make toast. You can eat healthily and well whilst still sticking to a student budget. The godawful "one pot wonder"
The one pot wonder is generally something you make when you run out of pans. You try and fry some meat on one side of the pan, whilst attempting to boil something on the other half (even though Delia and physics keep reminding you this is impossible). It generally turns out to be a travesty, but at least you didn't do any washing up. But one pot wonders don't have to be like this. Take a look at these Spanish Baked Eggs from Co-op, for instance, and try not to cry with joy and drool at the same time. You cried and drooled, didn't you? Check out the recipe from Co-op here. Recipe for Braised Sausage with Lentils from Co-op here. There are plenty of one pot wonder meals out there which barely take any time to make (and wash up). The above meal, for instance, only takes five minutes to prep. The "I ran out of money" meal is the meal you make to celebrate the fact that you have run out of money. 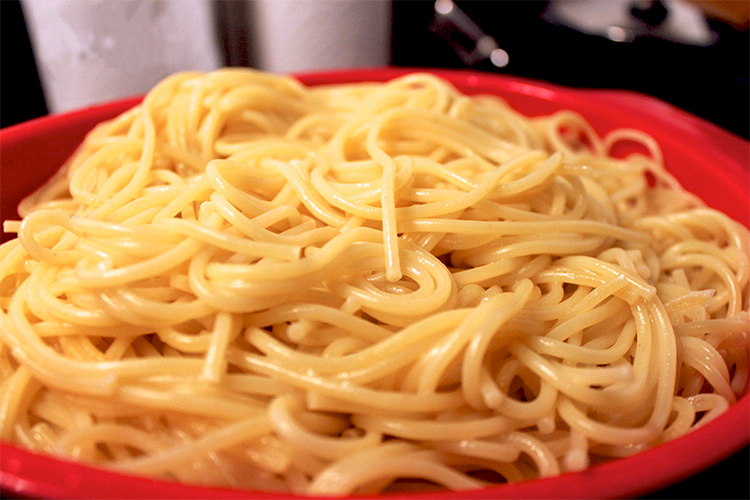 It is usually plain as hell, and may actually be a big ol' bowl of plain pasta. 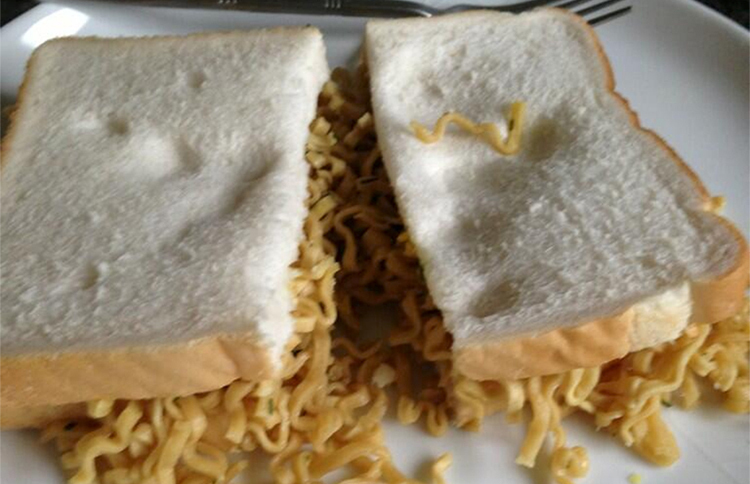 Other favourites for when you've run out of money includes 6p noodles, 4p curry sauce and food stolen from a friend. Take advantage of quality low-priced meal ideas and learn to cook some cheap meals, and then buy your ingredients from great value convenience stores. Invest in spices when you're feeling poor. Even if you are eating plain pasta or rice, you can usually make it taste pretty damn good with some smoked paprika and some garlic (for pasta) or add enough curry powder into your rice dish and you can call it a "poor man's biryani" rather than "poor man's plain rice". Psychologically, it'll make all the difference. 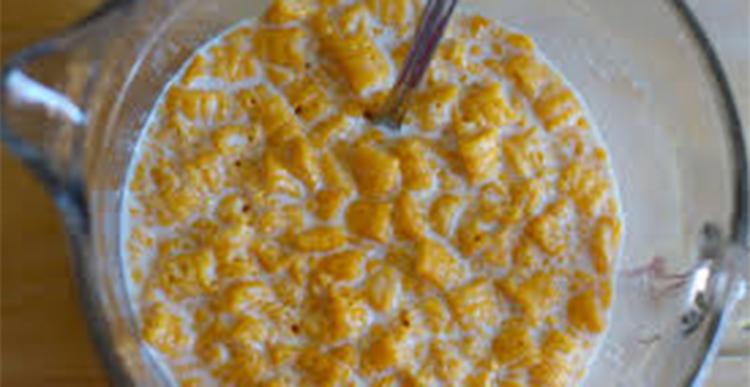 The five minute mess is the food you attempt to make in five minutes, which inevitably gets messed up something awful. This is usually because you will ignore all cooking instructions, setting the heat to "cremate" and end up with chicken that's burnt on the outside and riddled with lukewarm salmonella on the inside. 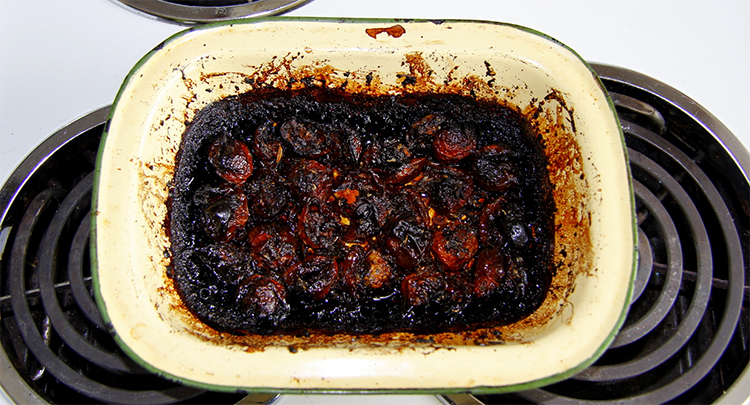 If you only have five minutes to make food, do not attempt to make a roast. If you need to get to uni / work very very shortly, now is your time to enjoy a ready meal. Have a few ready in your freezer at all times. If you're worried about health, there are healthy ready meals out there, that'll be ready in minutes. Our favourites from Co-op include their Jamaican Chicken Curry with Bean Rice and their delicious low-fat cottage pie. Double carbs are generally eaten by people who haven't learned about calories yet, people at the end of their overdraft, and anyone who has tried "hot, floppy noodle bread". Hot, floppy noodle bread is the meal you get by putting noodles inside of bread, to make a noodle sandwich of sorts. It's amazing, as are most other "double carbs" (chip butty, anyone?) but it's the reason why a lot of students put on weight in your first year. You have to learn to control your urge to eat everything, now that you are allowed to cook whatever you want - without adult supervision. It's time you learned to love vegetables. And protein. They're both delicious if you cook them right, and won't make you pile on the pounds like the treacherous, backstabbing carbohydrates will. Experiment with food until you find something healthy you like. Eventually you'll find something that won't throw a stone onto your waistline every time you eat it. There's nothing worse than waking up with a potential love of your life for the first time in the morning, and being asked what's for breakfast, then realising you have nothing. At best you can offer them some dry Frosties because you have no milk and eat like a child. And you have to serve it in a jug because you've run out of bowls. Plan ahead. Make sure you have milk, eggs, flour and sugar. With those you can always dish up some pretty decent "romance food", which, admittedly, you may still have to serve in a jug. Learn some valentines day breakfast recipes to impress any dates, like these pancakes with bacon and blueberries from Co-op. You never know if they might be the one, so make sure they're not "the one who ran away after you served them Frosties in a jug". And if they aren't? At least you ate bacon. The Co-op is here for students when they needs us. You can get 10% off all your shopping with your NUS extra card at a time when you need it. We are local, convenient and the staff are friendly. The Co-op rewards Students and is an ethical brand with values and principles I can relate to. The Co-op understands your life and the changes to it we can support you by understanding your needs. We will help you make healthy choices and learn good habits. The Co-op is a natural choice for students. This article is sponsored by The Co-Operative Food group.